This six-foot long fireplace adds relaxing ambiance to any room. 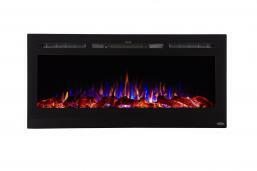 Three vibrant, adjustable flame colors, five flame intensity settings and adjustable heat. The Sideline® combines the full size of the OnyxXL 72 inch with the recessed wall design of The Sideline®. Designed to be built-in to your wall, The Sideline® 72 delivers are larger flame format than our OnyxXL, so the flame is larger and really stands out. 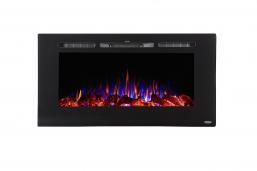 The Sideline® 72 has a ventless design, with the heat coming from the front of the unit. 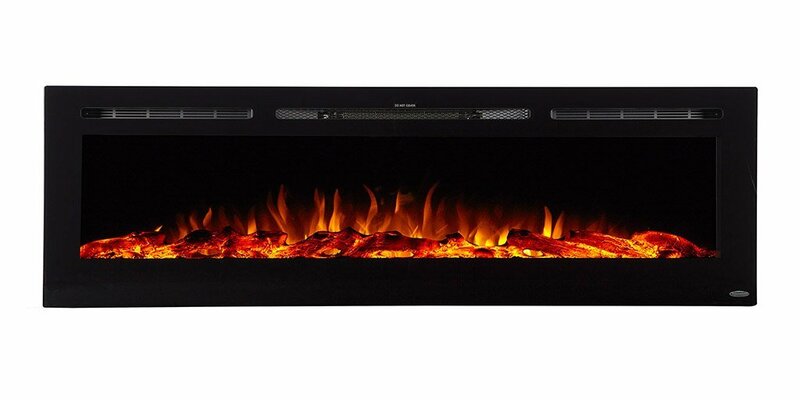 Like all Touchstone™ fireplaces, The Sideline® 72 has the most realistic flame available in an electric smokeless fireplace, and it will leave all your friends questioning if the fireplace is running on gas or if its electric. The Sideline® Series Fireplaces now come with Both glass crystals and a faux log set. 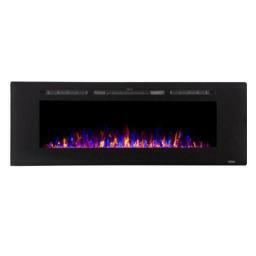 For a contemporary feel, install the glass crystals in The Sideline® Series Fireplace. For a more traditional look, install the faux log set in The Sideline® Series Fireplace. The Sideline®Series Fireplace ships with both options, so you can choose the look that is right for you.